Looking for quality used vehicles in Berkshire? Look no further! We offer competitive finance rates to purchase your next used vehicle! Looking to part exchange? Call us today for a quote! Please call today and one of our experienced staff will be happy to help! Welcome to Pinewood Motor Company in Newbury, Berkshire. 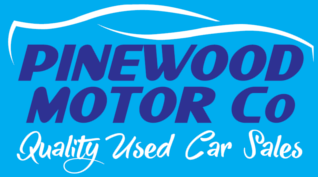 At Pinewood Motor Company we have wide range of used cars so whether you are looking for a small hatchback or a big family car, we aim to provide good quality and value for money. We advertise our vehicles at most realistic and competitive prices. Our friendly team offers a contemporary and personable service, delivered in a relaxed and professional environment so that we can make the whole process of buying used cars hassle free. We are located 3 miles away from M4 J13, 4 miles from Newbury town centre and 2.5 miles from Thatcham town centre on main Hermitage Road in Cold Ash. All our stock is carefully hand picked by our experienced buyers who have years of experience and knowledge behind them. Most of our cars come with 1 Year Mot and recent service. We take any car in part exchange. Any AA/RAC or independent Inspections are welcome.